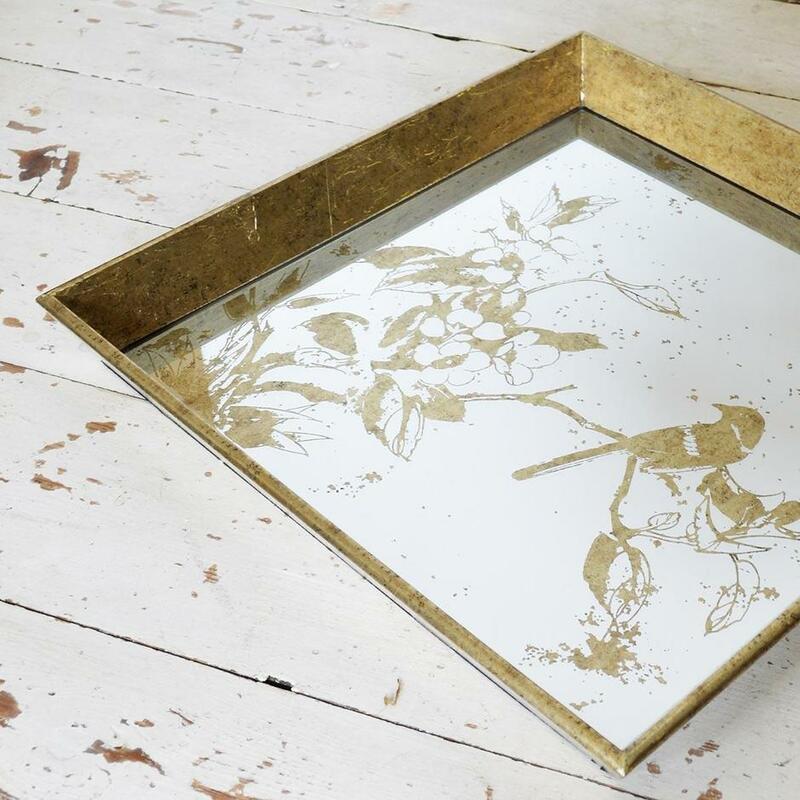 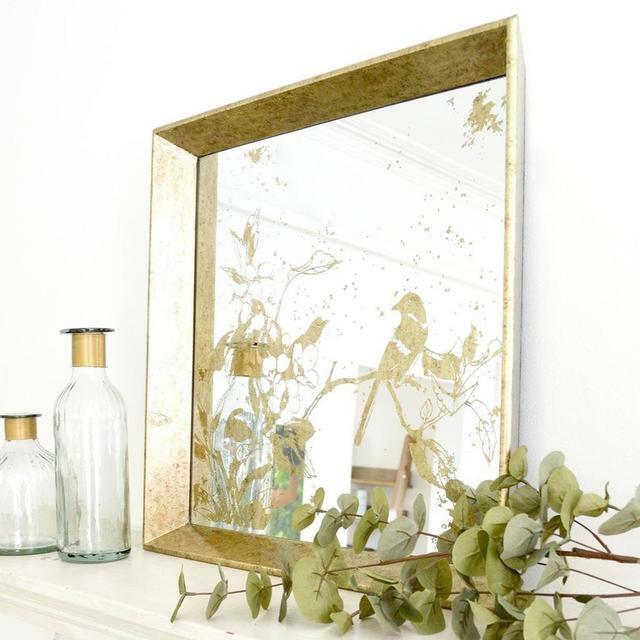 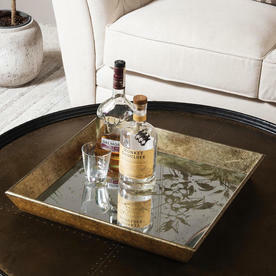 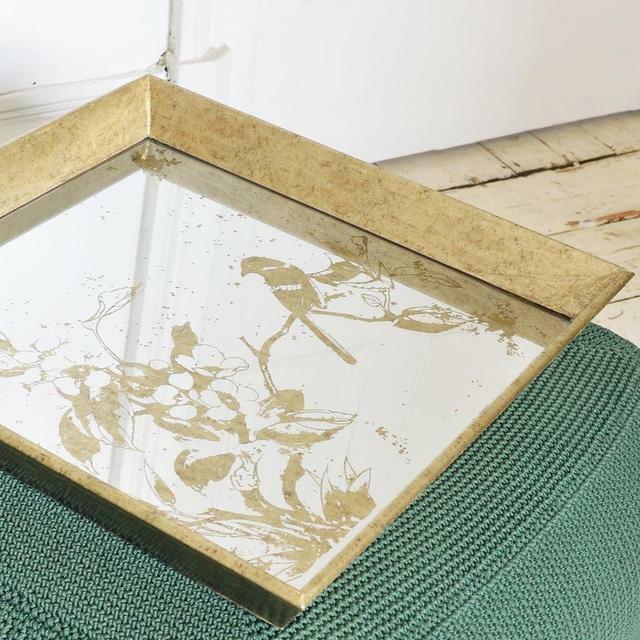 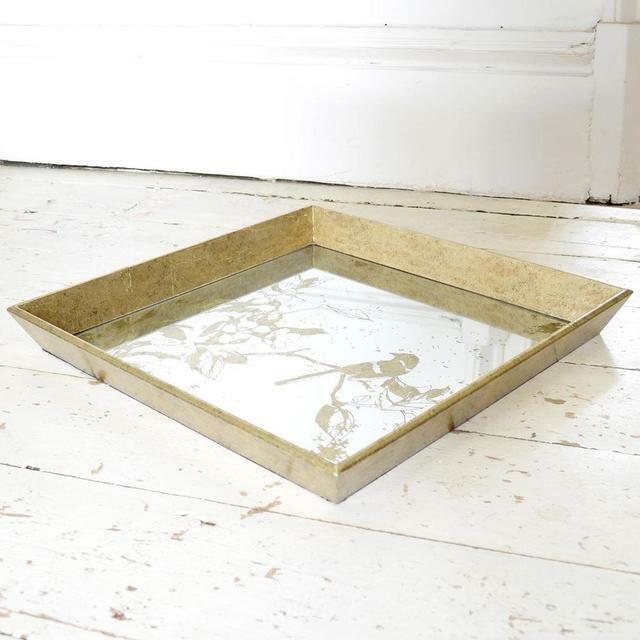 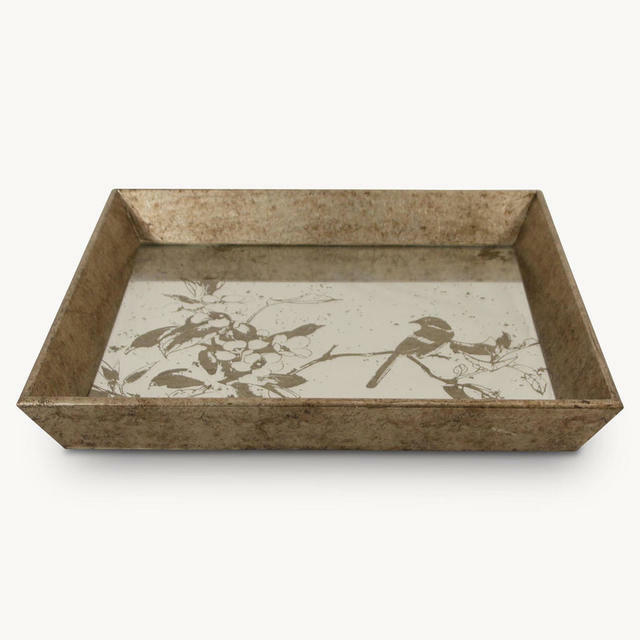 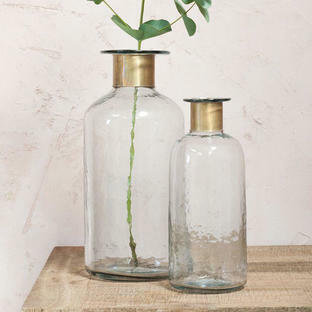 A beautiful mirrored tray with an antiqued glass and soft gold design on the glass, this tray is almost too nice to use just for cups of tea. 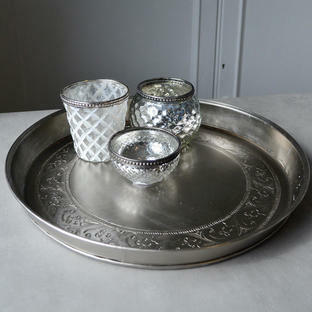 Try with some vintage style tealight votives, placed on an occasional table. 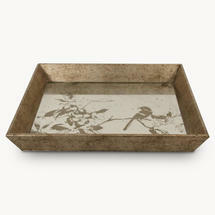 And looks simply stunning placed on a coffee table with 2 or 3 antiqued morroccan style votives shimmering away. 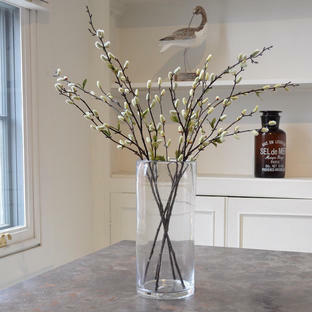 Made with glass surface and gold painted wood surround.